I’m heading into my 8th year with Apple Box Studios as Business Manager and when I’m not juggling laundry and soccer practice, I’m helping manage an office full of creative thinkers with big ideas, even bigger skills and little time for the admin/HR-stuff – part of where I come in. Not every office has a me exactly, but something every office struggles with is defeating busy. 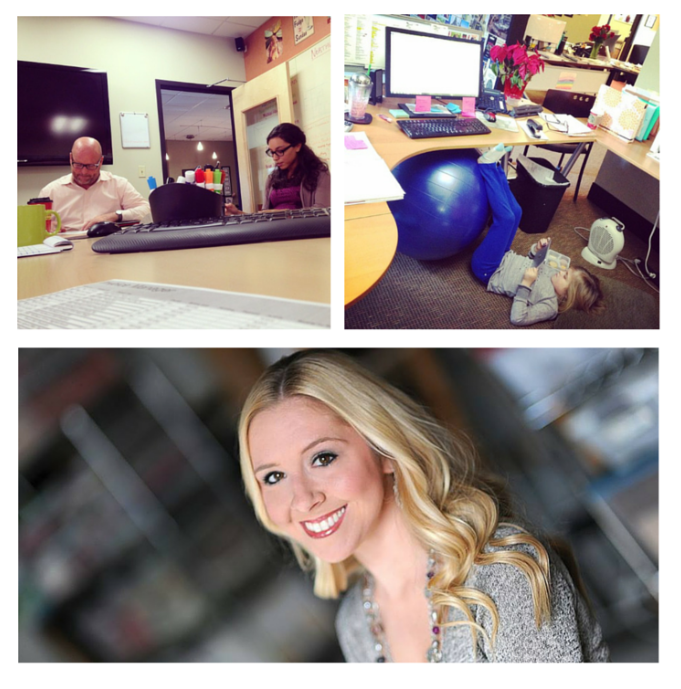 Let’s step back and I’ll tell you about a typical day in my life as a full-time office manager/ wife / mother. There was the random Tuesday my 4 year old son was sick with an ear infection, early morning doctor appointment then prescription pick up. My 7 year old daughter had a field trip and a softball game, the amount of work I needed to do at the office pressed like a heavy weight on my chest and I dragged my son to my office with his iPad in tow. The unfolded laundry in the upstairs hallway laughed at me, I had a family member in the hospital, a friend in need of my help and a big birthday party to plan for the coming weekend. Pair this with everyday tasks like grabbing milk on the way home, getting gas, making dinner, helping with homework, watering the flowers, cleaning up dinner dishes and food so the cats don’t eat it all night, bathing the children, reading stories, and remembering to move the clothes from the washer to the dryer, I’d say it was a busy day. I’m completely aware that there are all forms of busy. Everyone I know and meet, parents or not, is experiencing this same anomaly. “Busy” is real and true. I often talk with my mom who is a business owner and cares from my grandmother on a regular basis. And my sister who is a single working woman in the air force. Also my brother, my in-laws, friends and other family, all so different, but all so “busy”. Managing work, a home, friends and family, health, fitness, finances, pets, vehicles, etc. All these things add up to busy. So, the question is…how do we defeat busy? How do we find and deliver value among the chaos? Well, I rely on a number of ideas. While my lifestyle and tools might not work for a lot of people, it works for me. That’s been the key to my sanity…prioritizing what works for my family and I instead of focusing on whether it would work for anyone else. With that said, here are some of my favorite thoughts that may (or may not) do us all some good! If multitasking is a skill, compartmentalizing is an art. There is no way I can give 100% of myself to everything I do 100% of the time, but I can give 100% of myself to one thing at a time. I’ve carved out my schedule so I have time to focus on my priorities. When I’m at work, I focus on my job. There’s nothing I can do about looming school assignments or piles of laundry during that time, so there’s no point in worrying about them. I will randomly make a phone call or respond to an email, but I keep it very minimal and have trained myself to stay focused and fight the urge to get lost in other activities such as this while I’m at the office. It’s not realistic to think you can’t do ANYTHING personal from work, but managing it smart is as good for you as it is for your boss. To help keep these “lives” separate, I keep two separate to-do lists. One is for home, and one is for work. Compartmentalizing doesn’t come naturally to me and it doesn’t make things stress-free. It just helps me to limit that stress to one manageable area at a time. I’ve been focusing on improving my ability to accept help. I’ve learned to lean on my husband, family, friends, boss and coworkers for support. Life can be a lot easier when you let down your guard. Accept that vulnerability is healthy and is a very real thing. Place your pride aside. You may be surprised at the outcome and all the good that can come of it. It’s hard to ask for help, but it is impossible to balance work, school and family life without it. Have any other tips on creative management or defeating busy? We’d love to hear them, let us know on our Facebook page.